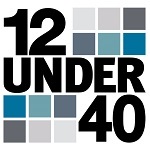 The 12 Under 40 awards will be presented during a recognition breakfast on November 13 at Idle Creek Banquet Center. Click the above link to register. Doors open at 8am, Program will begin at 8:30am.